Mike and Sarah Leigh-Bergin might be separated in age by 26 years, but share a passion to start a family. 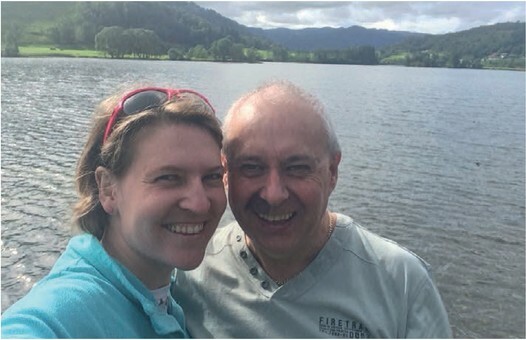 Here, Sarah tells Fertility Road readers about the couple’s memorable journey so far with Norwegian IVF experts Klinikk Hausken. Like many couples looking for help to start a family we began researching the different options available to us and immediately found it all a little overwhelming. There were so many options, so many clinics, yet all of them apparently confidently offering us the chance to become parents. What was the right answer? Did we need all these extra treatments? Is treatment abroad safe? What would it all cost? The questions and possibilities seemed endless. Prior to getting married in 2011 we were aware that a natural pregnancy was not possible due to Mike having had a vasectomy many years ago, before we met one another. 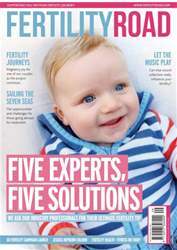 We sought advice from our GP who explained a reversal was unlikely to be successful given the length of time since the vasectomy and scarring on the tubes.